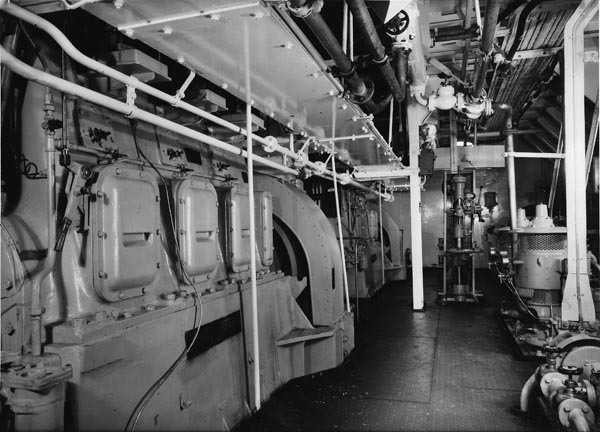 Looking aft on outboard side of generators. Workshop and generator pumps on the right. 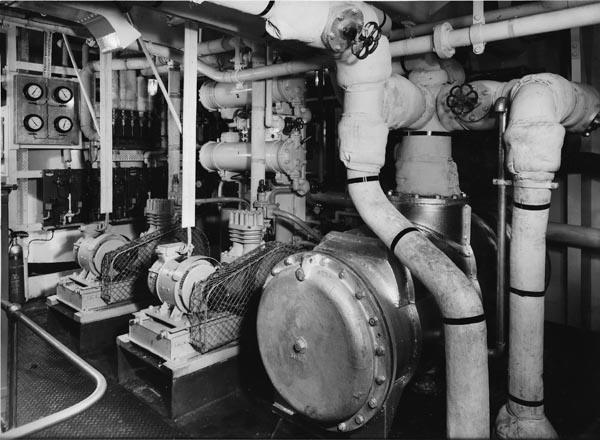 Refrigerator compressors and auxiliary condenser, situated in starboard corner at engine room flat level. 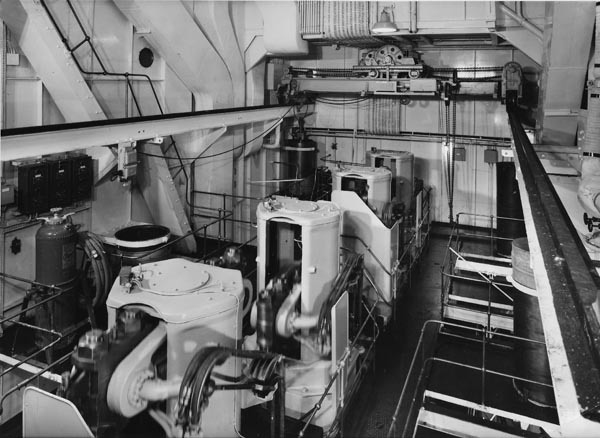 View of engine room top looking forward and showing top guides and overhauling crane. Photos from the collection of the late Alec Osborne. Copyright © Reardon Smith Ships.